Just a day or two ago, we talked about the Manchester housing market stealing the limelight from London. Here’s a peek at what makes Manchester the amazing city that it is. Manchester, UK, might best be known for being the world’s first industrialised city — besides being home to just a couple of popular football clubs, of course. Once a manorial township with peasants working the field for the Lord of the Manor, the city of Manchester is now renowned for being one of the most modern cities on Earth following a multitude of revolutionary discoveries. Manchester began expanding “at an astonishing rate” around the turn of the 19th century as people flocked to the city for work from Scotland, Wales, Ireland and other areas of England following a boom in textile manufacturing during the Industrial Revolution. It developed a wide range of industries, so that by 1835 “Manchester was without challenge the first and greatest industrial city in the world.” — Cotton spinning was Manchester’s specialty; it made them the largest marketplace for cotton goods! Fun fact: In Australia, New Zealand and South Africa, the term “manchester” is still used for household linen: sheets, pillowcases, towels, etc. Manchester went on to accumulate a fair share of world firsts: the world’s first IVF baby was conceived in Oldham, Greater Manchester in 1978, the atom was first split and graphene first isolated at the University of Manchester in 1917 and 2004 respectively, the first stored program computer was also built in the University of Manchester in 1949 — these groundbreaking milestones were reached in just one city, three of which occurred in one building! Fun fact: The University of Manchester has 25 Nobel Prize winners. This has landed them in the top 25 schools with the most Nobel-winning affiliates! Manchester is known as the UK’s 2nd largest city and is also the third-most visited city in the UK, after London and Edinburgh. Additionally, in 2014, the Globalization and World Cities Research Network ranked Manchester as a beta world city, the highest-ranked British city apart from London. Manchester was also touted UK’s Most Liveable City in 2013 according to the Global Liveability Survey. A colossal amount of money has been put into Manchester’s development as part of the British government’s Northern Powerhouse push. Starting from 2017, £1 billion will be spent to transform the Manchester airport, further establishing Manchester as one of the most connected cities in the world. The city already boasts direct connections to many of the world’s major capitals, like New York, Hong Kong, Singapore and Beijing. The project is set to be completed by 2023. Another development in Manchester’s transport system is the new High Speed Rail (HS2), still under construction, which will cut travel time between Manchester and London from the current 2 hours to just over an hour when it is ready, and, in its second phase, also reduce the time required to travel to Birmingham and Leeds. The first phase of the £56bn railway is due to open in December 2026. The onward legs to Manchester and Leeds is set to open by 2032-33. In addition to Manchester’s connectedness is its technological growth — Manchester is Europe’s second largest creative tech hub! With a GVA of £4.1 billion, 82,300 people working in creative and digital companies and over 7500 creative and tech companies, Manchester is a place where creativity and technology are jointly driving the next wave of innovation. Supporting Manchester’s digital expansion are the four leading universities in the area. These establishments have a proven track record for collaborating with production on ground-breaking research and development in areas from health to data analytics, cyber security, text mining and cloud computing. The universities also produce a constant stream of highly-skilled computer science graduates which further bolsters the industry. With all these ranks and progress, it is no surprise that Manchester’s property market flourishes just as much. Manchester registered a 7.3% increase in house prices over the entirety of the year 2017 following an undersupply, topping the list of all cities in the UK. Manchester has also topped the list of the best UK property hotspots in 2018 according to The Property Hub — in a recent Property Hub podcast, they discussed how Manchester is becoming the “London of the North”. Direct flights to many of the world’s cities, e.g. New York, Hong Kong, Singapore, Beijing etc. With Manchester’s rich history, participation in the digital age, expanding transport system, flourishing property market and more, one would be regretful not to see how they can get involved with this blossoming city. Manchester’s property market in particular, following a housing shortage, would be most advantageous for investors looking for the next big thing. Saving hard, but you can’t quite put aside enough? Thinking of putting your money to work by investing in UK? This impacts the returns on your investment apart from increasing the value and ‘rentability’ of your property. Capital growth is also key to property investment. The greater the growth in property value,, the bigger the total profits. UK has always been a haven for property investors. But, as London property prices soar higher and yields go lower, property in the cities outside London are showing greater yield potential. The Brits, too, are starting to show interest in properties outside of London. Indeed, it is now the regional cities in which you should put your money! Before you decide where to invest, take a quick a look at HSBC’s annual research on rental yield around Britain. Thank me later. The data shows Manchester leading the pack in rental yields, as well as several other locations with profitable returns. In September 2017, it was reported that London house prices had fallen for the first time in 8 years at a record drop of 0.6%. The capital was subsequently deemed the weakest performing region in the UK for the first time since 2005. According to recent news from Acadata, house prices in London continue to plummet, extending a slump that’s seen the average property in the capital lose almost 2 percent its value over the past year. It seems as if the great divide has materialized in the UK property market, separating London from other thriving cities. According to Acadata, while values continue to fall in London, they are growing in other regions apart from the southeast. Property-website operator Rightmove has released fresh data that supports the claim of major regional growth, showing that average prices have climbed to a new record of 305,732 in April, despite a drop in London. The shifting power dynamic in UK’s major cities is becoming apparent, as efforts in expanding housing, jobs, resources and investment are becoming increasingly concentrated in areas outside the capital. London Is Falling; So, What’s Rising? Various lists claiming the emergence of “the next London” have penetrated the news, using undersupply and rental yields to gauge where, exactly, business in the UK property market is shifting. What investors know when it comes to such lists, is that repetition should lead them to the right places to invest their money. Matt Stevens, Director of The Mortgage Genie, has recently shared that the buy-to-let hotspots set to offer the most competitive returns in 2018 are Manchester, Liverpool and Gateshead. Similar results were recorded in a more recent report released by JLL, which has singled out Manchester, Liverpool and Leeds as the “ones to watch” over the next five years, as it expects them to outperform other cities in the UK. The two constants found in both reports should signal to investors the immense potential in the northern UK region. Manchester and Liverpool are serious players in the property market for their relevance as core cities for science and technological growth — this is partly credited towards the government’s push of the Northern Powerhouse. Supporting Manchester’s title as ‘the Silicon Valley of Britain’ is a new report by Tech Nation, which has revealed that tech companies in the UK’s northern region have attracted investment at a faster rate than anywhere else in Europe over the past five years. Manchester particularly, was the key performer within the region, with tech investment growing at a whopping 668% over the 2012-17 period. This growth can be seen in the number of private equity firms in Manchester, which is 31 as of now, with a further three rumoured to be opening this year compared to the six to eight firms in the city over the previous two decades or so. Liverpool also holds a prominent position in the upcoming digital age, with the establishment of the Knowledge Quarter, placing it on the cusp of becoming a world-class destination for science, innovation, education, technology and the creative and performing arts. Recent news highlights an ecologist and astrophysicist from Liverpool John Moores University (LJMU) who, together, have made a significant breakthrough in the animal conservation scene. Dr. Claire Burke, the astrophysicist behind the new species-saving instrument, explains that the software used to identify galaxies is now being used to resolve problems involved with the tracking of endangered species! With the northwest region boasting expansion in relevant industries, investors will find that their best bets lie in cities like Manchester and Liverpool. Ultimately, the UK remains a good and safe place to invest your money due to a weakened pound and a structural housing undersupply. The best opportunities undoubtedly lie in major regional cities such as Manchester and Liverpool. That said, it is important to note that the market in London, subject to a variety of conditions, will eventually bounce back, just as the housing market in the Midlands* bounced back from a low in 2015 to become one of Britain’s fast-growing housing markets today. On a positive note, it is during these apparent slumps that shrewd investors should invest in order to receive satisfying returns when the market bounces back. Kit Malthouse is the UK’s latest housing minister in 17 years. It’s been a bit of a ministerial carousel in the UK cabinet, particularly the Housing Ministry. Within 17 years, the UK has changed Housing ministers 16 times, with Kit Malthouse as the latest appointee. 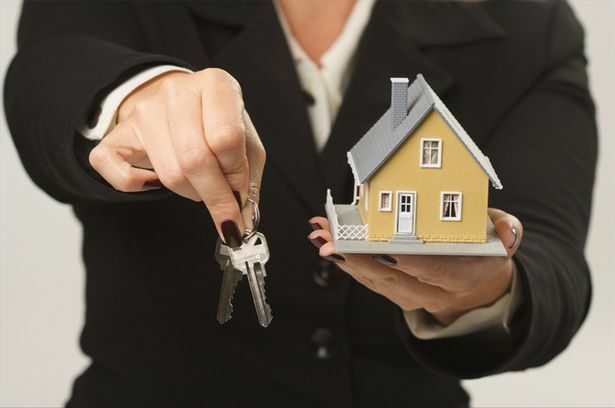 In fact, the Housing minister’s role changes hands more than 20 times faster than the average UK homeowner moves houses, according to the Intermediary Mortgage Lenders Association (IMLA). Formerly Boris Johnson’s deputy mayor for Policing, Malthouse takes over the Housing portfolio from Dominic Raab, now the Secretary of State for Exiting the European Union. Raab had contributed a lot to the UK housing market during his 6 months as Housing minister, including managing the Grenfell Tower recovery programme, as well as reforming the social housing sector. Raab also came out with a bill to ensure fairness in the UK housing sector. However, the bill is still in the third reading among parliament members and the contributions he made to the industry has yet to be fully realised. Really, 6 months is too short a time to see through and implement change in something as consequential and expansive as the housing market. Yet, in the last 12 months, the UK has reshuffled Housing ministers three times within a short period: Alok Sharma; then, Raab; and now, Malthouse . It almost seems as if the ministers are playing musical chairs among themselves in tackling the UK’s housing crisis! Research suggests that to address the housing crisis, the UK government needs to build 340,000 new houses each year until 2031. This is way beyond the government’s original target. As a direct result, getting on to the housing ladder is becoming more impossible by the day for first-time buyers. This, of course, has given rise to demand for rental housing, benefitting landlords across the UK. Obviously, things have remained the same despite 15 ministers having taken on the job. The appointment of Kit Malthouse comes at a crucial time, and it is imperative that he tackles the housing crisis that has haunted every housing minister that has stepped into office. Ultimately, the chronic shortage of housebuilding can affect the stability of a nation, and it doesn’t look like change is coming any time soon. Hopefully, Malthouse sticks around long enough to make effective and long-lasting changes to the housing market. Image by Totally Money indicates rental yields across the maritime city of Liverpool. Liverpool, home to the UK’s first-of-its-kind Knowledge Quarter, has been named UK’s top buy-to-let city for yet again. The city has been a top pick for the rental market since 2013 . The research by independent credit broker TotallyMoney, which surveyed 580,000 properties across England, Scotland and Wales, found that universities outside London provided landlords with the highest yields, with Liverpool claiming top spot at up to 12% average rental yields. The L6 and L7 postcodes in Liverpool dominated due to its cheaper prices, but also, most importantly, because of their location which is close to the city’s three main universities. The universities provide a catchment of some 70,000 students, which drive demand for housing. Landlords have even more to rejoice about as the upcoming construction of the high-speed rail , and (HS2) will continue to boost the economy in Liverpool, thus driving demand for housing creating opportunities for the buy-to-let investors. Meanwhile, the housing market in Manchester has also been doing well, recording strong average rental yields of up to 10.08%. Recently, Manchester was also named as the best place to be a landlord in the UK, recording a splendid rental price growth of 5.76%! Like Liverpool, Manchester is also a part of the Northern Powerhouse, an initiative by the UK government to create economic balance between the North and South. Both Liverpool and Manchester will see great development in the future in terms of job opportunities, training, and skills development — a situation that smart property investors are taking advantage of. In Liverpool, part of the city’s development involves the massive Liverpool Waters scheme, which will reconstruct brownfield sites into full-fledged neighbourhoods and transform the city’s northern docks into a world-class mixed-use waterfront development. In Manchester, the population continues growing, thanks in large part to the existence of four central universities which have enforced the student population in the city. With a student catchment of some 100,000, Manchester offers good opportunities for landlords. In the past, London was the main focus of investors looking to capitalise on its massive economic and infrastructure growth as the city centre of UK. Today, Liverpool and Manchester have eclipsed the capital thanks to its strong and varied development growth. Property yields have not done well in London either due to over inflated property prices. Housing prices have flatlined, with experts predicting that Brexit will cause a downfall in the market based on current trends. What’s clear is that rental yields in Liverpool is seven times higher than London, which unfortunately now sports a high number of postcodes that are listed within some of the UK’s worst areas for buy-to-let yields. Follow the money: there’s bound to be a good thing going if investors are ploughing their money into this maritime city. Proper investments are known to give birth to a thriving economy, and in Liverpool, this scenario prevails. Some of the most active companies have invested in the improvement of this maritime city, with the most notable five doing so as partners of Liverpool City Region Local Enterprise Partnership (LEP). LEPs are voluntary partnerships between local authorities and the private sector set up in 2011 by the Department for Business, Innovation & Skills to lead economic growth, job creation and maximise return of investment within the local area. The major LEP companies referred to are Danish energy firm DONG Energy, transport giants Alstom Transport and Stagecoach, Liverpool-based museum British Music Experience and training provider South West Regional Assessment Centre. DONG Energy, the global leader in offshore wind, has two completed projects in the Liverpool City Region. Together, the wind farms can generate enough low carbon energy to power over 310,000 homes! Matthew Wright, Managing Director for DONG Energy UK, has expressed his ambition to continue fueling growth for the low carbon sector in the city, thus painting a greener future for Liverpool. Alstom Transport UK, on the other hand, opened their new state-of-the-art industrial facility at Widnes which provides the largest and most sophisticated train modernisation facility in the UK, alongside the Alstom Academy for Rail which will provide training for rail staff from across the North West and beyond. Stagecoach is also contributing to the expansion of Liverpool’s public transport network. With both companies at work, accessibility throughout the city is set to greatly improve. South West Regional Assessment Centre will be offering training & development courses for individuals wanting to improve their work opportunities whilst the stunning British Music Experience opened its doors in Cunard Building, Liverpool in March 2017. With the Liverpool City Region LEP Strategy, Liverpool is well and truly open for business. This strategy will see the possible creation of more than 100,000 new jobs, an increase of more than 50,000 people and growth of more than 20,000 businesses. It will also see a boost in Liverpool’s economy of some 50 billion pounds! The £2bn vision to establish Liverpool’s 450-acre Knowledge Quarter as one of the world’s leading innovation districts has appeared in the news quite a bit. Readers are aware of the great number of students and businesses the city will attract while keeping to its roots which are planted firmly in the enhancement of the health and education sectors. Worth mentioning is the interesting transformation within the Baltic Triangle. The derelict warehouses that trail the triangle are being converted into interesting recreational destinations and offices. Many digital agencies have also chosen to locate to Liverpool because of the creative aura running throughout the quaint zone. This redevelopment has thus produced a unique area for property investment. Improvements are occurring all over Liverpool in various fields, attracting volumes of people from all over the world in need of homes. In this case, investors would find it beneficial to look into property investments in Liverpool, as timing could not be any better. When investing in UK commercial student property, one should consider investing in Liverpool. Liverpool is a top student city in the UK with a student catchment of more than 50,000 . UK commercial student property is a bit like treasure; it’s a valuable asset and savvy investors are constantly searching for the X on the map. While the increasing number of local and foreign PBSA investors should be indication enough of the great opportunities in this sector, one would ultimately solidify this belief once exposed to the promising data behind this jewel of a sector. Many local investors have already hopped onto the student property bandwagon, and while that may be expected, the rising number of foreign investors is a little less so. What makes commercial student property investment so popular among both local and foreign investors alike, is because it is a hands-off property investment: commercial student properties are fully-managed by professional property managers, allowing investors to commit to the venture in the student sector from the comfort of their home countries! With the UK’s nonpareil education system ensuring continuous demand for PBSA that consistently outweighs supply, overseas investors in search of investments other than residential property will most likely find themselves in the student property sector. While many urban cities in the UK boast reputable universities — it is the UK after all, and lists such as The Times Higher Education World University Rankings and QS World University Rankings prove British educational institutions continue to dominate the educational sector — none of them stand out quite like Liverpool. A combination of pull factors place Liverpool at the forefront of UK student property investment; alongside affordable prices and excellent rental yields, a unique lifestyle experience continues to attract both local and international students. Students are initially attracted to the high level of distinction associated with the top three universities in the city: University of Liverpool, Liverpool John Moores University (LJMU) and Liverpool Hope University. The redbrick University of Liverpool is ranked in the top 1% of education institutions in the world whilst Liverpool John Moores University and Liverpool Hope University also rank within the top 75 according to league tables by The Complete University Guide. The other factors that ultimately mark Liverpool as the best student city is its eccentric culture. Students are enticed by the abandoned warehouse nightlife of the Baltic Triangle, the galleries and museums of the Albert Dock and the unconventional cafés on RopeWalks’ famous Bold Street. Liverpool boasts a large student population of over 70,000, which guarantees an abundance of tenants searching for the right accommodation. With most of the top student property developments marking the best student areas near Liverpool’s city centre attractions and university campuses, investors can enjoy choosing from an already promising selection without going through all the trouble. Adding to Liverpool’s prestige is the Knowledge Quarter, a £2bn regeneration scheme that will lead the city to becoming one of the world’s leading innovation districts, further reinforcing its relevance in this modern digital era! What every international investor is particularly attracted to is the excellent rental yields — up to 8% nett returns is commonplace in Liverpool’s student property sector! Considering low initial average property costs that provide opportunity for maximum capital appreciation over time, investors would be hard-pressed to find a greater deal. Interesting in investing in Liverpool PBSA? There are many commercial student accommodation developments in the pipeline. Natex, one of Liverpool’s latest to date, offers investors 9% returns, assured for five years. The 566-unit student accommodation scheme is approximately a 5-minute walk from University of Liverpool and Liverpool John Moores University — it boasts all the facilities a student would ever need (and more!). VITA Student, a student accommodation brand in the UK. The UK has long settled comfortably on the top spot of global education. This has been reflected by growing demand for Purpose-built Student Accommodation (PBSA) or UK Commercial Student Property as students from all over the world flood into the UK in seek of highly revered credentials. Across the UK as a whole, full-time student numbers continue to outweigh current PBSA bed spaces by 3:1, despite the pipeline of student accommodation either planned or underway. Unlike residential property, this sector is seen to be a concrete investment even in the face of global and domestic challenges. Recent data reveals the popularity of PBSA among investors following the undersupply. Savills reported a 17% increase in student accommodation investment in the UK this year, and expects investments in the sector to reach £5.3bn by the end of 2017, surpassing the £4.5bn spent in 2016. Meanwhile, Knight Frank’s UK Student Housing Rental Update reports that headline rental growth for the sector increased by 2.55% for the 2017/18 academic year. Becoming a private investor in student property is currently trending in the UK, with reports revealing lucrative returns from the PBSA sector for individual investors. While some of the younger UK population prefer to seek apprenticeships instead of applying for university, the latest analysis by the Universities and Colleges Admissions Service (UCAS) shows that demand for higher education among 18-year-olds remain strong, increasing by 0.4% in 2017 from the previous year. Additionally, the number of applicants from the EU increased by 3.4% to 43,510, a 3% rise from the same point in 2017 and the second highest number recorded. The number of international applicants increased to its highest ever number, by 11 per cent to 58,450. The act of supplying student accommodation that is both sufficient in number and quality was once under the responsibility of educational institutions themselves, but in recent years, have mostly been provided by private investors and developers. What has been particularly demanded from students are superior quality accommodation which they are prepared to pay higher rents for. This makes the sector very profitable for landlords and letting agents. What can be taken away, at the end of the day, is that PBSA in the UK is big business. One fact reinforces this already proven notion, and that is the fact that the UK overtook the US as the largest student property market for the first time in 2015 after reaching a record £6.56bn in investment volumes. — to invest in PBSA in the UK seems to be a pretty solid plan!